Reigning premier Phillip Island has picked up where it left off last season, with a dominant round one win against Kilcunda Bass. Brothers Jack and Billy Taylor combined for seven goals in the 15.13 (103) to 3.2 (20) win at Bass Recreation Reserve. The weather dished up a bit of everything, with strong wind in the opening term giving way to pleasant sunshine for much of the game, before the heavens opened to deliver a heavy downpour for the final 10 minutes of the match. The one constant was the Bulldogs’ control of the contest. It began with young forward Billy Taylor asserting himself on the scoreboard, making the most of the stiff breeze to kick two of the opening three goals of the game. 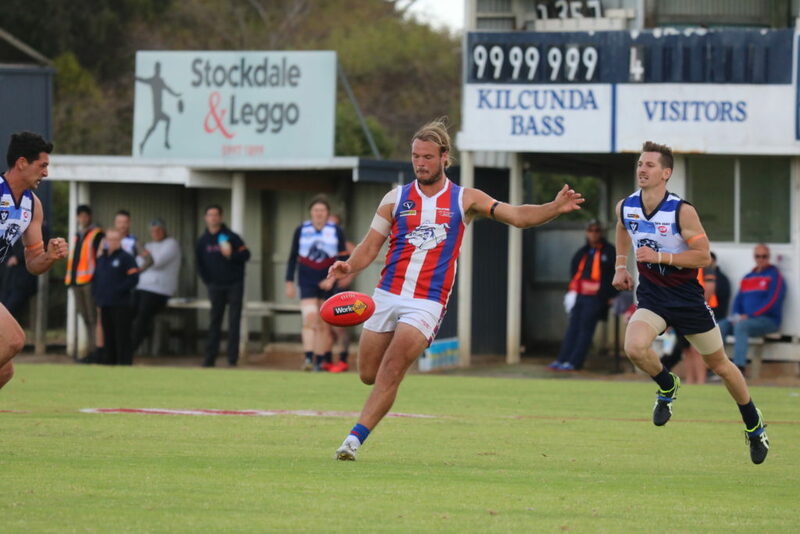 Hayden Bruce was everywhere and got a well deserved goal for his endeavour, while Brenda Kimber and Jack Taylor – the latter from 55m after the quarter time siren – also contributed to the visitors’ 32-point lead at the first change. Panthers coach Damien Holmes was circumspect at the huddle, praising his side’s commitment and pressure in the trying conditions. However, the Bulldogs soon made a mockery of the perceived advantage, with the opening goal of the second term, as star recruit Cameron Pedersen marked 25m from goal but unselfishly passed up the opportunity to kick his first goal in the red, white and blue, instead dishing off to an unmarked Eli Richards in the goalsquare. It was a funny old day for the high profile debutant, who was involved in plenty and created multiple goals for others without impacting the scoreboard himself, despite numerous chances. It mattered little, as while the wind proved a great leveller in the second quarter, it only slowed the Island juggernaut temporarily. 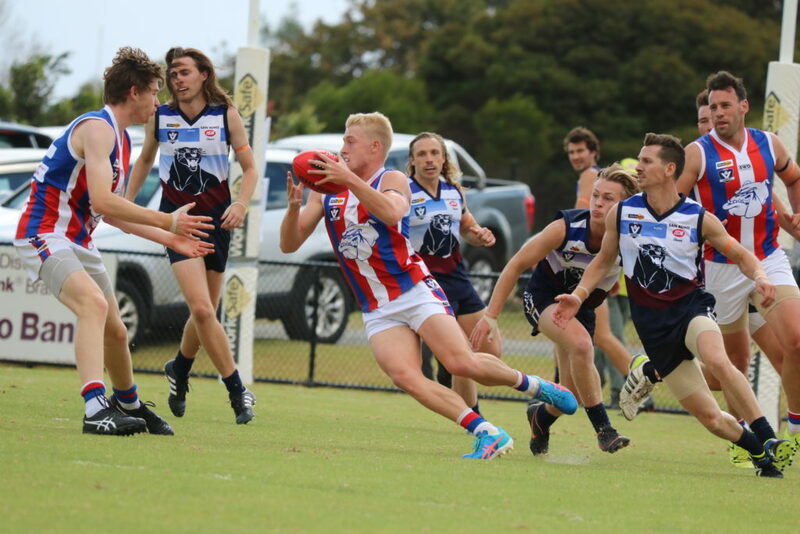 Jack Taylor got busy with three third quarter goals, while singles to Richards and Alex Redmond pushed the margin out to 76 points at the final change. The home side finally broke through for their first goal of the game, when Luke Callander converted expertly from 35m early in the last. However, two quick goals to Marcus Wright, either side of a neat finish from Panther Jake Weightman, and another to Jaymie Youle, made it a 76-point lead when the rain arrived. The last 10 minutes were a tough slog, as the wet ball and tired bodies combined unfavorably, but there was still time for Billy Taylor to add one last goal to go with his first of the game and secure the 83-point win. In truth, it was Phillip Island will be happy to bank the points and move on with plenty of room for improvement. It was more a bash and crash style than the more purposeful ball movement that will be required against tougher opposition but much of that owed to the conditions and early season rust. Jack Taylor was named the Island’s best, Jarrod Andreatta, Jason Tomada and Mark Griffin also impressed, with Pedersen and Kimber rounding out the best. Jimmy Phillips, Taylor Gibson and Shelton Rosario stood out for the home side. 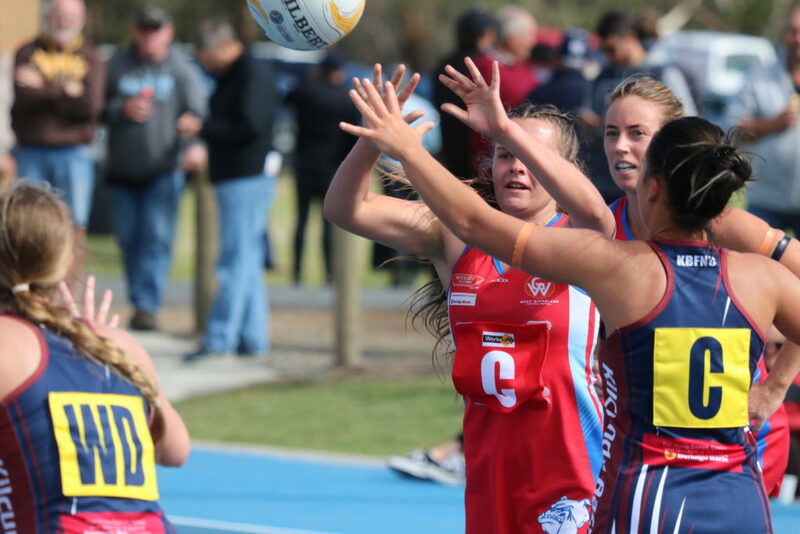 Over on the netball courts, Phillip Island’s new-look A Grade side scored a 10-goal win against a competitive Kilcunda Bass outfit. 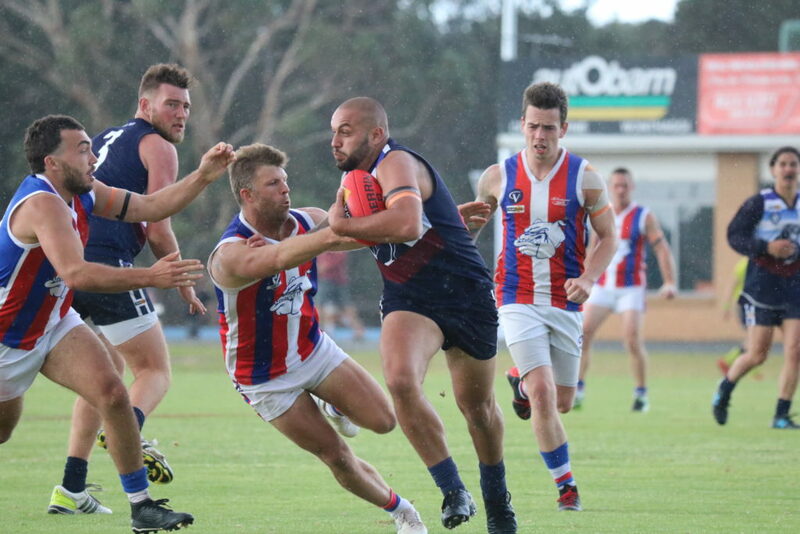 The Island was more clinical in the blustery conditions, establishing an early lead that it extended to 11 goals by three quarter-time. The Panthers won the final term, 6-5, but eventually fell short 30-20. 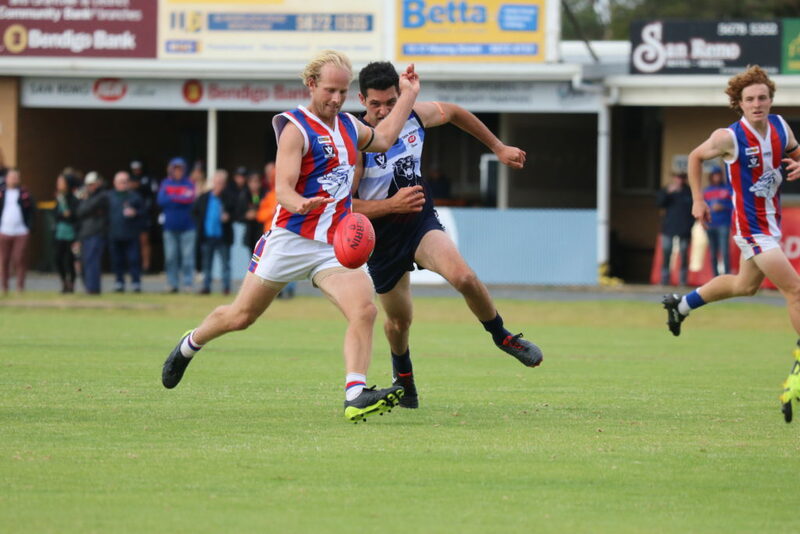 Elsewhere, Tooradin Dalmore registered its first senior football win in the Alex Scott & Staff West Gippsland Football Netball Competition, defeating the highly-fancied Nar Nar Goon by 11 points to put a dampener on Lachy Hansen’s homecoming. 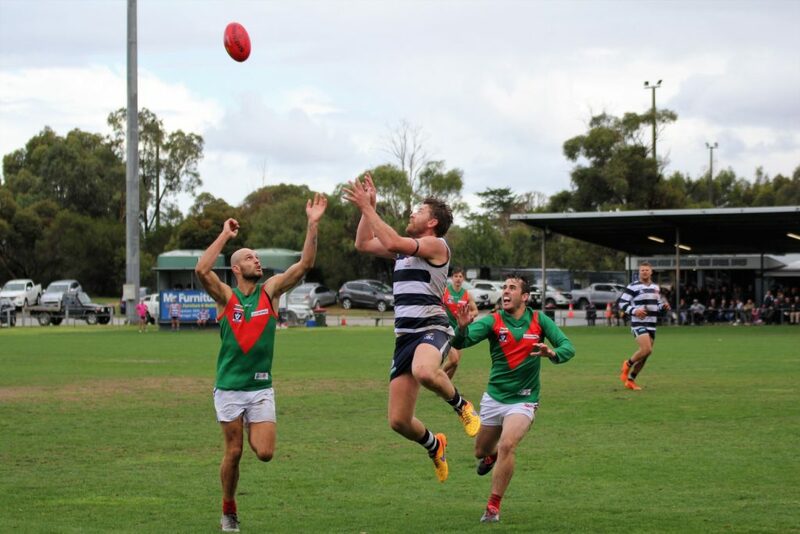 The Seagulls started strongly with 10 scoring shots in the opening term, but poor kicking for goal kept the home side in the hunt at quarter time. However, the Goon was never able to get control on the scoreboard, trailing at every break – never by more than two goals – before going down 9.12 (66) to 8.7 (55). There were plenty of similarities to the season opener for the Seagulls, which once again had three multiple goal kickers – Julian Suarez, Andrew Dean and Tim Lenders – only this time their defence held firm. Luke McKenna, Suarez and skipper Matt Livermore were among the best, as was 17-year-old debutant Lewis Hill. Captain Baz Hermann was the only multiple goal-kicker for the Goon, which was best served by Jake Smith, Hermann and Trent Armour. The news was not quite as good for fellow newcomer Warragul Industrials which was unable to register a goal in its competition bow away to Garfield. The home side was hardly prolific either, but proved too strong in a 4.3 (27) to 0.5 (5) win. Tanner Stanton was a clear standout, booting three of his side’s – and the game’s – four goals in a best on ground showing. Rhys Murphy and Jayden Goumas also impressed for the Stars, while Travis Ogden, Cooper Hampton and Tyson Bale were best for the Dusties. Down the road at Bunyip, Cora Lynn made it two from two with an eye-catching win. Jai Rout finished with five goals, while Rylan Smith, Brady White and Heath Briggs were among the best in the 12.8 (80) to 5.9 (39) win. The new-look Bulldogs showed some good signs, but struggled to settle, managing just six behinds to half-time. Stephen Morey, Jye Keath and Nathan Lieshout were the pick of the litter on the day. 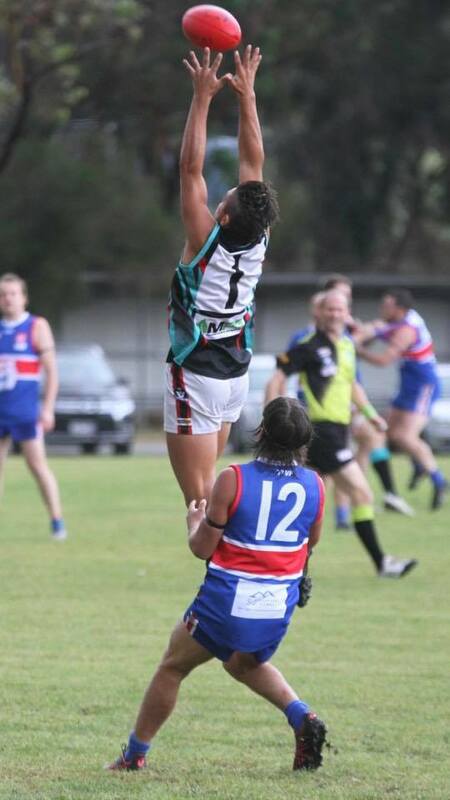 Koo Wee Rup took the first step in exorcising some Demons from last year’s grand final, with a 54-point win against Korumburra-Bena. 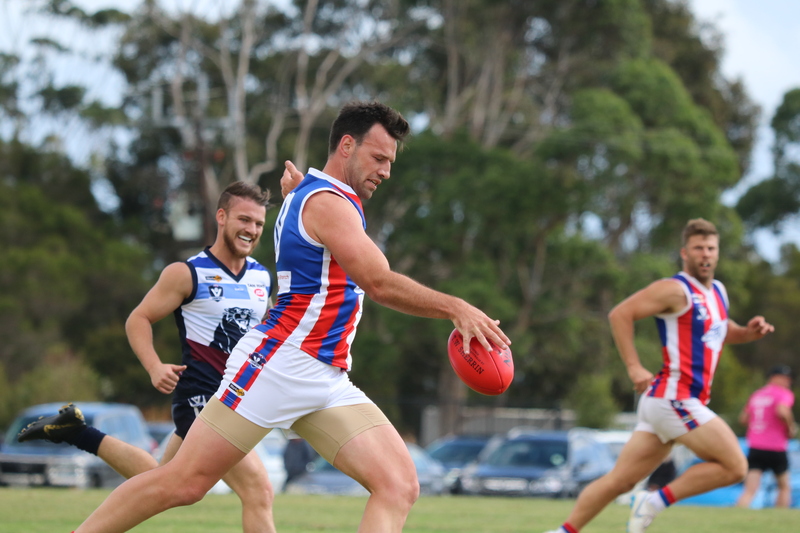 Veteran Luke Walker starred with five goals, taking the spotlight away from superstar signing Darren Sheen and last season’s competition leading goalkicker Jason Wells, who contributed as many goals between them in the 16.7 (103) to 6.13 (49) victory. Shannon Marsh and Nathan Muratore were also prominent for the visitors. Despite the defeat, there were some promising signs for the home side, which actually registered more scoring shots in the three quarters, only for a poor conversion rate to leave them 24 points in arrears at the final change. Ben Fitzpatrick started the season well with two goals in a strong performance, while Luke Lange and Alex Walker also caught the eye for the Giants. Around the netball courts, Bunyip defeated Cora Lynn 51-31, Nar Nar Goon came up short against Tooradin-Dalmore 31-52, Korumburra Bena went down to Koo Wee Rup 39-43 and Warragul Industrials hit the ground sprinting with a 74-26 defeat of Garfield.